Google has released details regarding its upcoming 64-bit app requirement for the Play Store. 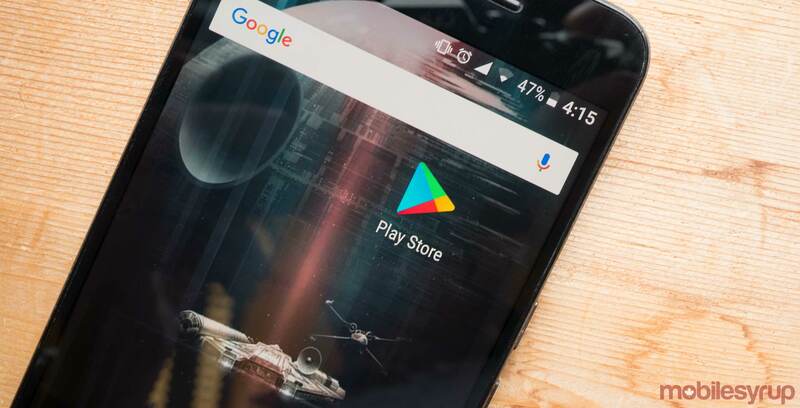 While Android as an OS has supported 64-bit CPUs since version 5.0, Google didn’t change Play Store policy until 2017, when it announced that apps using native code must provide a 64-bit version. As of August this year, Google will require all new apps and updates including native code to provide 64-bit versions. However, the search giant is not removing 32-bit support. Instead, the requirement asks 32-bit apps to have an additional 64-bit version as well. However, there are several exceptions to this rule. For one, APKs or app bundles exclusively for Wear OS or Android TV are excluded, as those platforms don’t support 64-bit apps. Further, the requirement doesn’t apply to apps that aren’t distributed to devices running Android Pie or later. Additionally, apps that use Unity 5.6 will be exempt from the new policy in August and will be allowed to continue pushing 32-bit only updates. This is because Unity only recently began supporting 64-bit in later versions, so the exemption will give app developers more time to update to 64-bit. 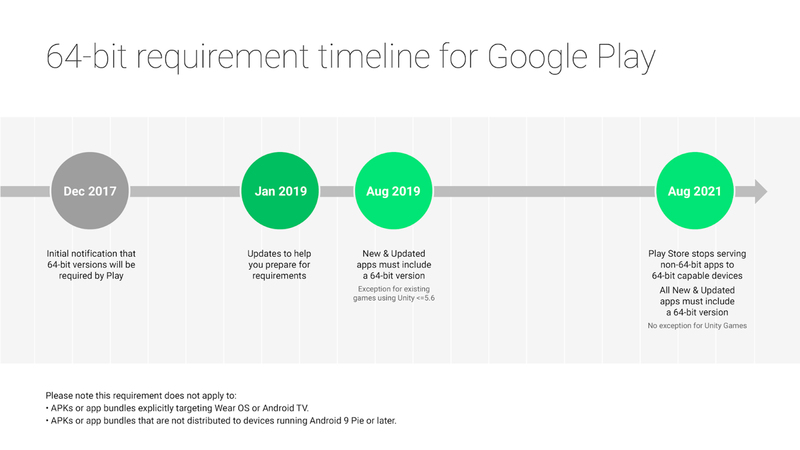 By August 2021, the Play Store will stop serving non-64-bit apps to 64-bit capable devices, meaning all new and updated apps must include a 64-bit version. There is no exception for Unity at this point. Google says that the move to 64-bit should be straightforward for most developers, and it provides several resources to help make the jump in an Android Developers Blog post, which you can access here. The push to 64-bit should open new opportunities for developers, as 64-bit CPUs are significantly more capable than 32-bit CPUs. 64-bit CPUs can handle more data at once and access more RAM, which elevates a CPU’s computational abilities. It’s also worth noting that Apple no longer supports 32-bit apps on iOS, and cut 32-bit apps entirely in iOS 11.